When two or more businesspeople enter into a partnership agreement, it is vital to get all the stipulations on paper. This important document protects everyone involved in the new partnership. This form provides an excellent guideline, but it is still vital for businesspeople to head to a lawyer and have the forms reviewed to make sure they are legally binding and appropriate to their individual circumstances. 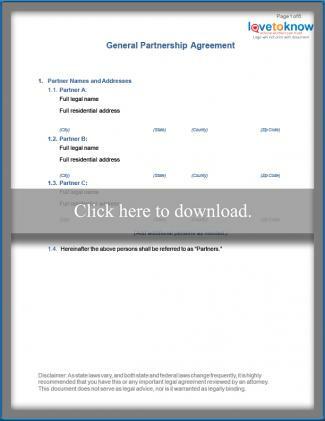 Simply click the partnership agreement image above to download and customize the template to meet your individual needs. The LoveToKnow logo will not appear when you print your form. If you need help downloading the printable, check out these helpful tips. USLegal.com provides a short customizable form. AllLaw.com provides a longer form that may be printed and customized. One partner decides that he or she is simply not getting enough money and starts withdrawing funds from the company's bank account. Feel free to add additional language to the partnership agreement to incorporate any other legal information you believe should be included. This type of information can vary depending on the type of business and the scope of the partnership. For example, if you are forming a medical practice, you may want to state that each partner is required to maintain a valid license to practice medicine and remain in good standing with the American Medical Association. A thorough review by legal council is incredibly important before assuming a free general partnership agreement form is legally sufficient. Once the form receives approval by legal council, the involved parties may want to have the form notarized and then file the original signed copy with the county clerk. Filing the form with the county clerk ensures there is always an accessible copy, and also proves that the form exists in case one partner files a grievance and then claims to have lost his or her copy of the agreement. 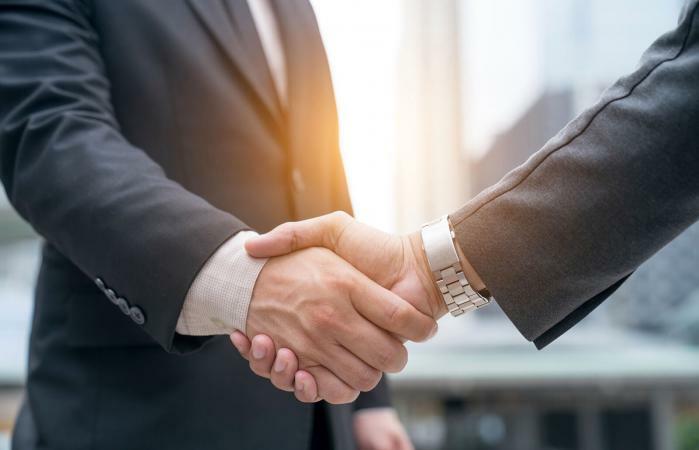 When forming a general partnership, it is important to make sure that everything is documented and legally binding. New businesses have a high failure rate, so under these stressful conditions it is no wonder that some relationships go sour. When a general partnership has been spelled out and is legally binding everyone involved is protected. When no such documentation exists, all the partners are simply looking for trouble.